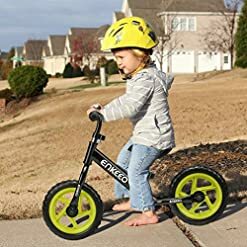 Forget tricycles and training wheels! 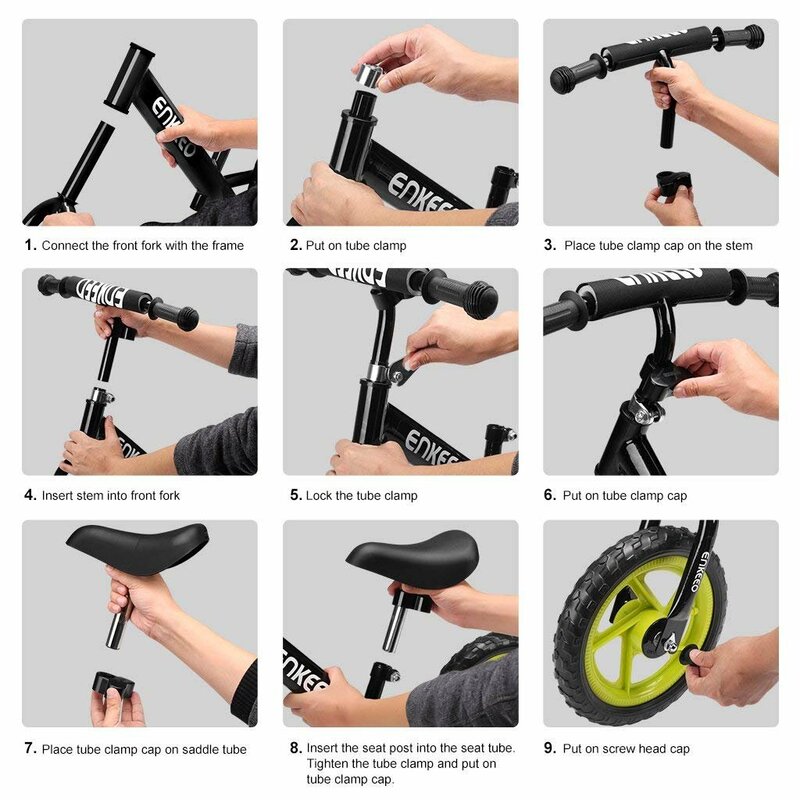 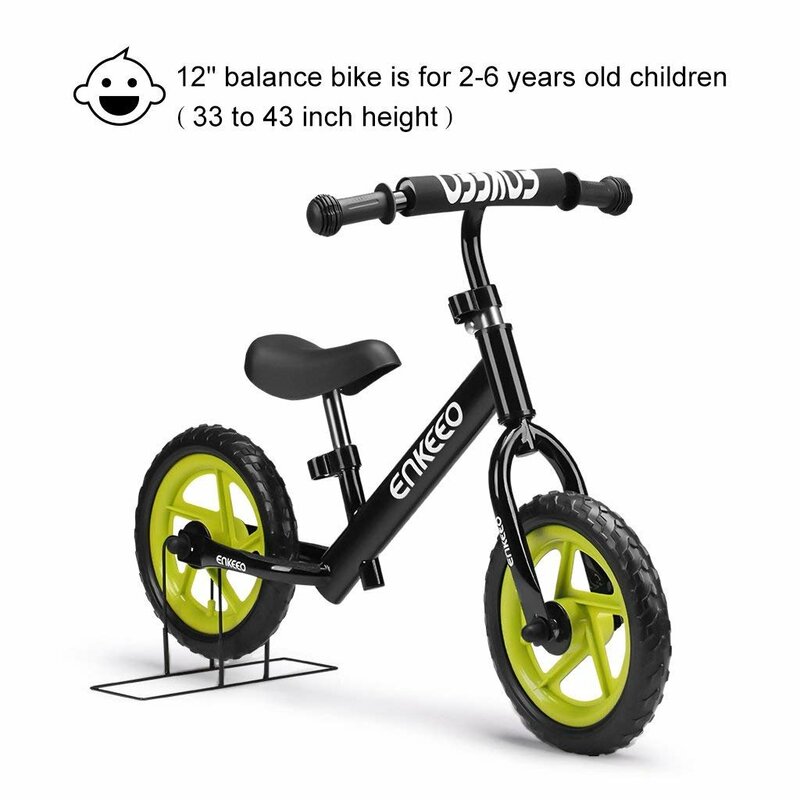 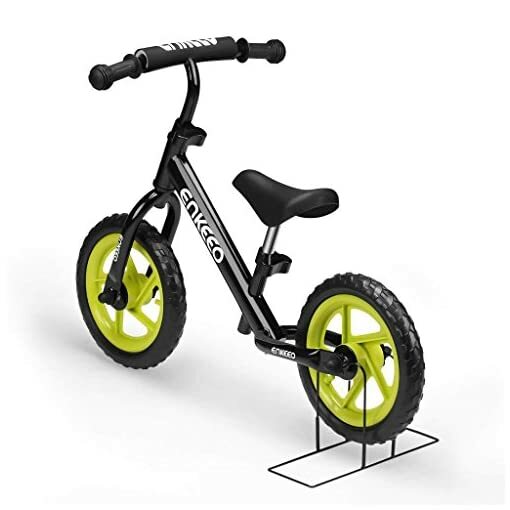 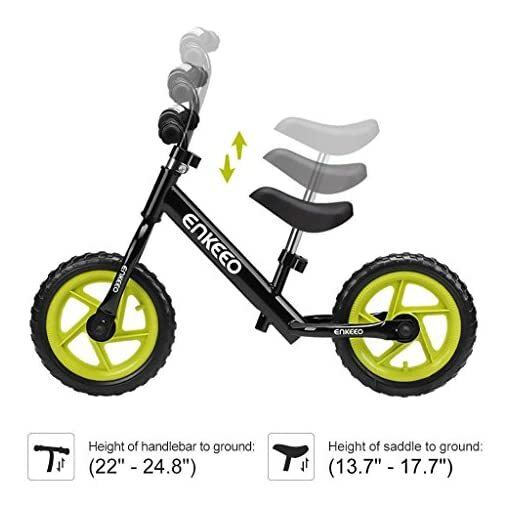 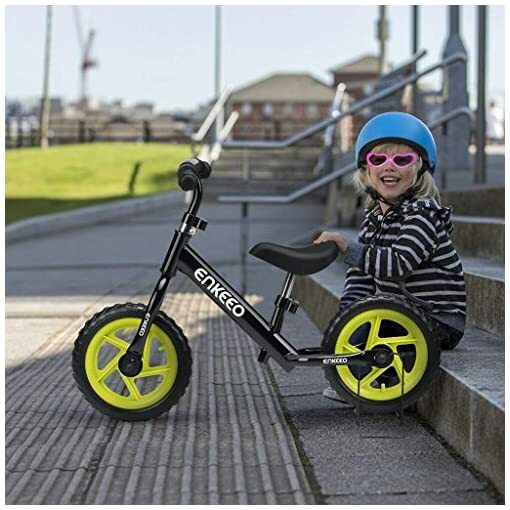 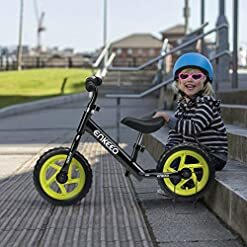 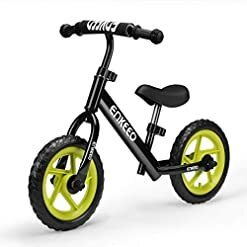 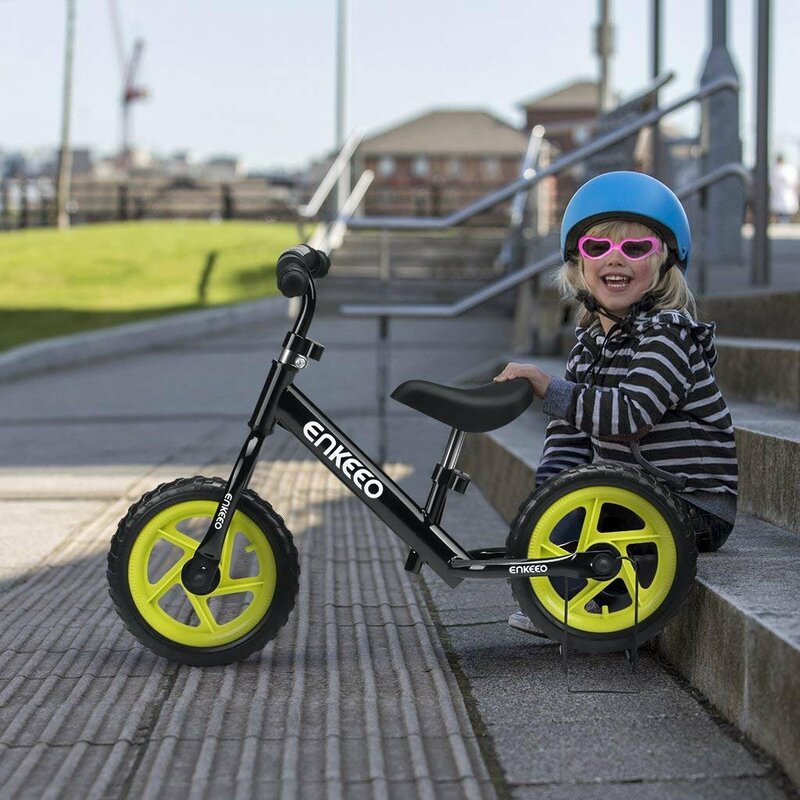 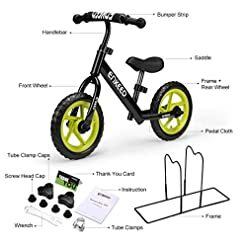 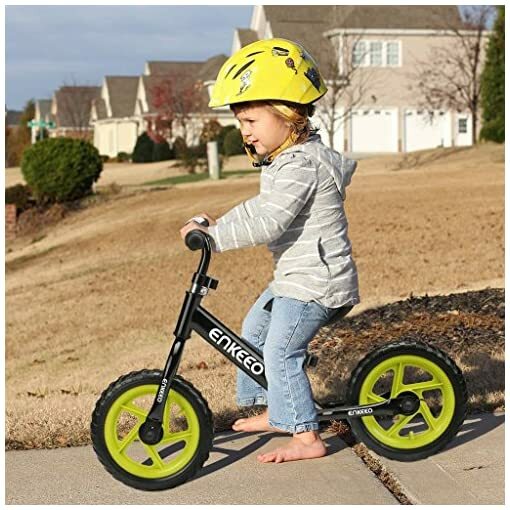 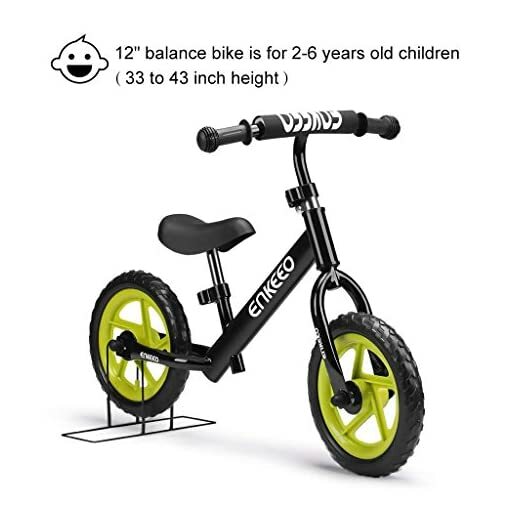 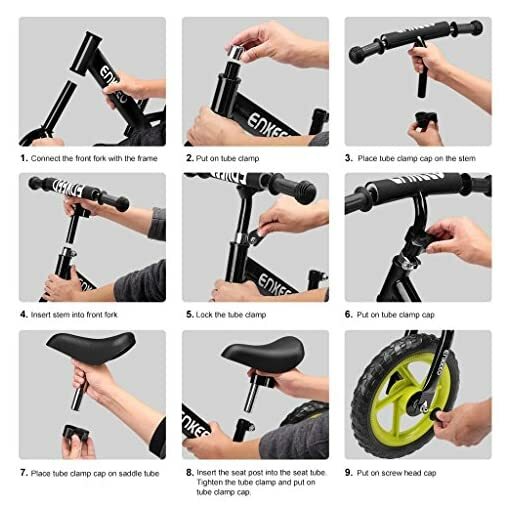 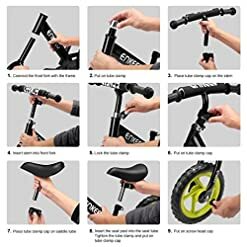 Our no-pedal balance bike helps your child to learn balance on 2 wheels in the most comfortable way as early as 2 years old, builds confidence when they can step on solid ground, and provides a safe, easy, and natural transition towards a pedal bike. 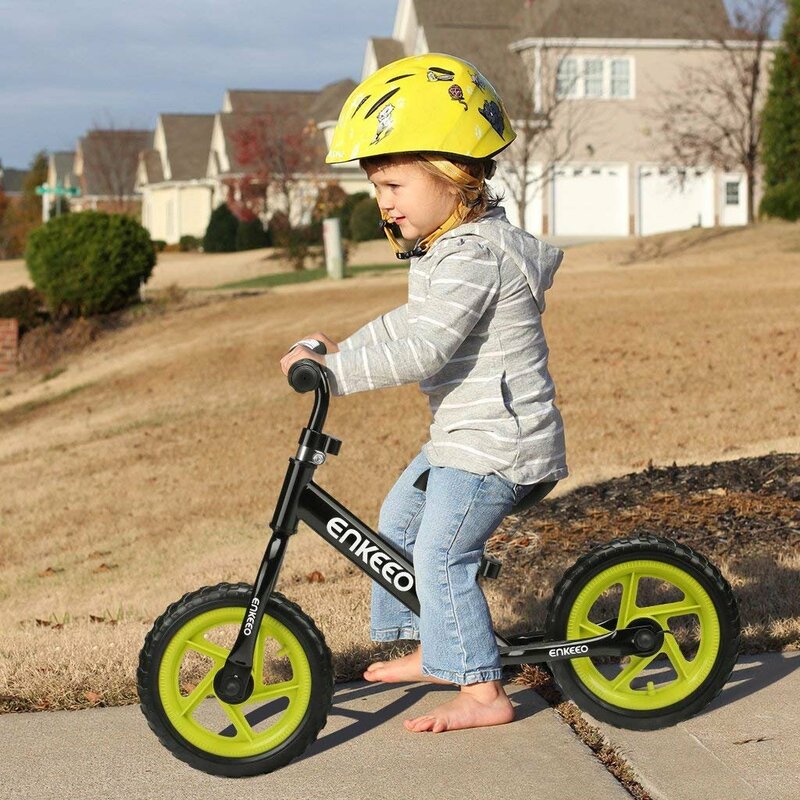 Through this approach, your child will love to ride in the outside. No more falling and scratched knees! 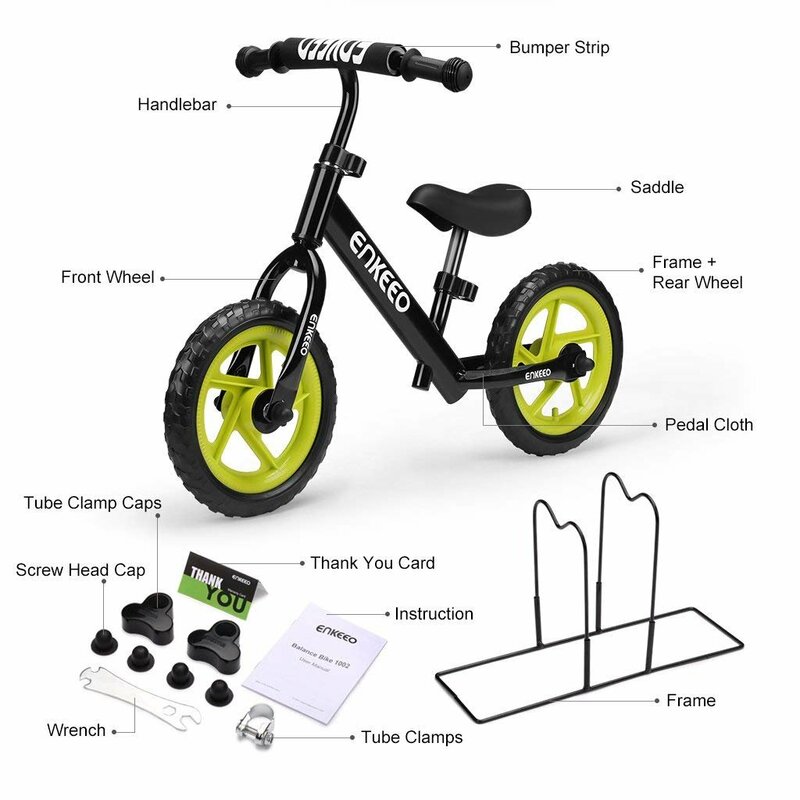 With the balance bike, your child will easily ride over trail, grass or pavement, and have many fun adventures! 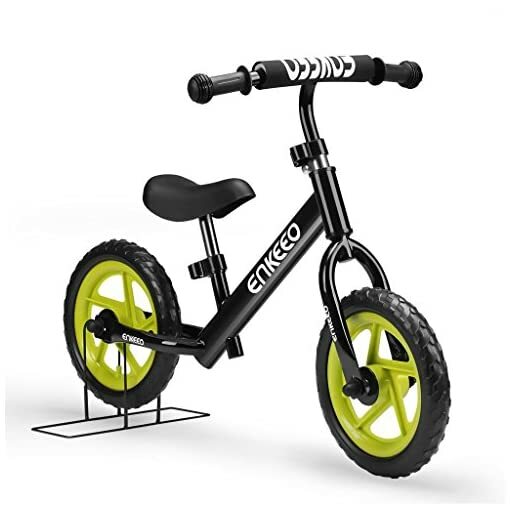 This high-performance bike features a rust-free carbon steel frame, EVA foam tires and adjustable handlebar and seat, offering the most comfortable and safe riding experience. With a strong yet lightweight frame, the bike delivers effortless control for the small riders. The adjustable seat height and handlebars not only ensure a right fit for your child, but also make the bike a perfect way to take riding to the next step. It can be adjusted while your child grows and is designed for children from 2 to 6 years old or a max weight of 110.2 lbs.